Tom Brady cut short his contractually obligated Monday morning interview with WEEI after repeated questions about Alex Guerrero, Brady’s “guru” and business partner, and his seemingly resumed close relationship with the Patriots. It’s the second time in a month Brady has walked out when Guerrero’s name comes up, so if he thinks shutting down interviews are going to stop the media from asking about Guerrero, he must not be drinking enough TB12 Electrolytes. Guerrero—who the FTC censured for referring to himself as a doctor (he’s not) and who has claimed he can cure cancer and concussions—emerged as the biggest wedge between Brady and Bill Belichick, a rift that ruptured publicly last season. But Guerrero is popular with other Patriots players as well. Belichick reportedly chewed out Rob Gronkowski in the locker room for training with Guerrero, and Julian Edelman was rehabbing with Guerrero this offseason when he was popped for a PED suspension. It was a question about Edelman and Guerrero that caused Brady to walk away from a press conference last month. 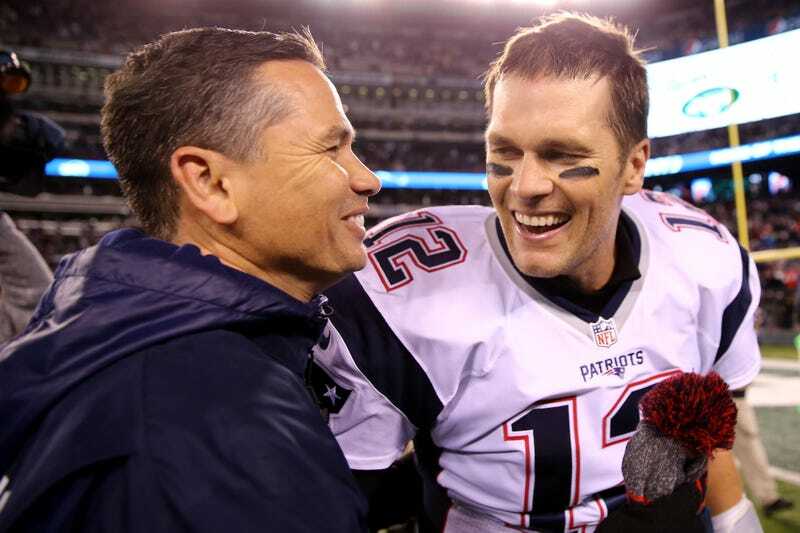 In December, Belichick reportedly banned Guerrero from being on the sidelines during games and traveling on the team plane, perks afforded him by Brady’s patronage. Those bans appear to have expired, as Guerrero flew on the team plane to the Patriots’ preseason game in North Carolina this weekend. It was the state of Guerrero’s privileges that WEEI’s “Kirk and Callahan” wanted to interrogate this morning. Thanks, Tom, I’m already having a great day! Bomani Jones On Tom Brady&apos;s Bizarre Training Schemes: "This Just Reeks Of &apos;Con&apos;"